Network modification: Change something in the network. Often, the output layer is adjusted. In the following, I will introduce all unsupervised training methods I know. The idea of an auto-encoder is to restore the input. Hence it has to have an output layer which is capable of doing so. This means you have to choose your activation function carefully and probably normalize the range of values of the input. For example, if your inputs have negative values you cannot use the logistic function or ReLU. If it doesn't sum to one, you can't use softmax. If the range of values is outside of [-1, 1], you can't use most of the activation functions. Also, you have to make sure the shape of the output is the same as the input. Bottleneck features: You can force the auto-encoder to learn a feature reduction by introducing a bottleneck. After the training is finished, everything after the bottleneck could be removed. Restauration: The input of the network is changed in some way which has to be restored by the network. This could be white noise, Gaussian noise, or completely removing some parts of the image (as done in Context Encoders: Feature Learning by Inpainting). Look for "denoising auto-encoder". If you have a CNN and images as input, crop it into 9 pieces which are loosely placed in a grid over the image (with some variable padding). Give the network the middle crop and randomly one of the 8 others. The network has to predict which crop it got. Hence the network has 8 output units. I could imagine that you could do something similar to the crop position prediction with time series data. For example, if you have audio data you could give the network two samples and let it predict which one comes first. Or if you have a video, you can predict the next frame. 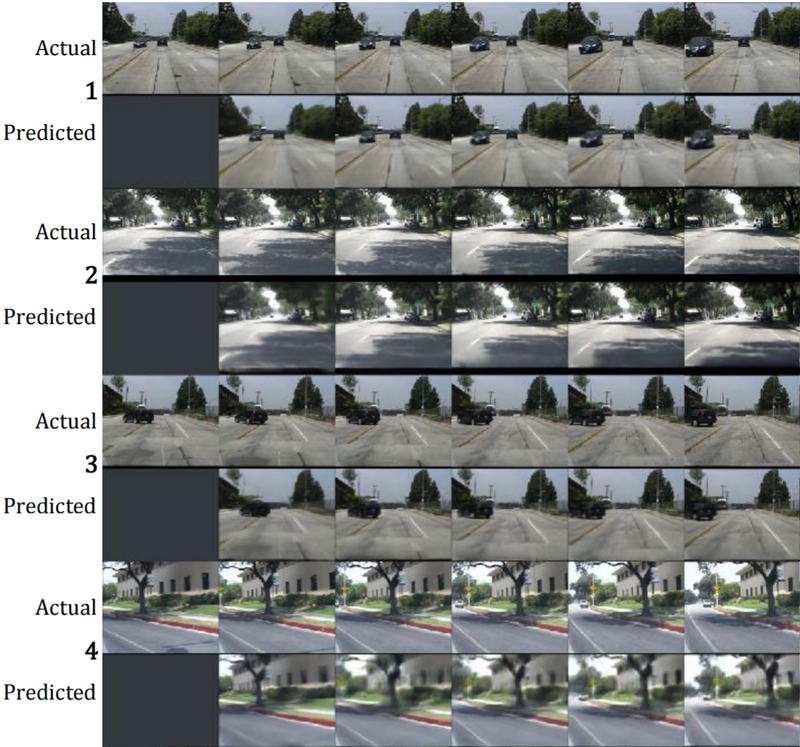 See Deep Predictive Coding Networks for Video Prediction and Unsupervised Learning. Predict the next frame of a video. The more detailed / high quality labels are, the more expensive. For example, it is often simpler to classify one complete image than to assign a class label to each pixel of the image. But you can build models for semantic segmentation without having a single image which was semantically labeled. This is what I call weak supervision. Another example is counting: You have many images of street scenes. Each image has the number of cars in that image as a label. 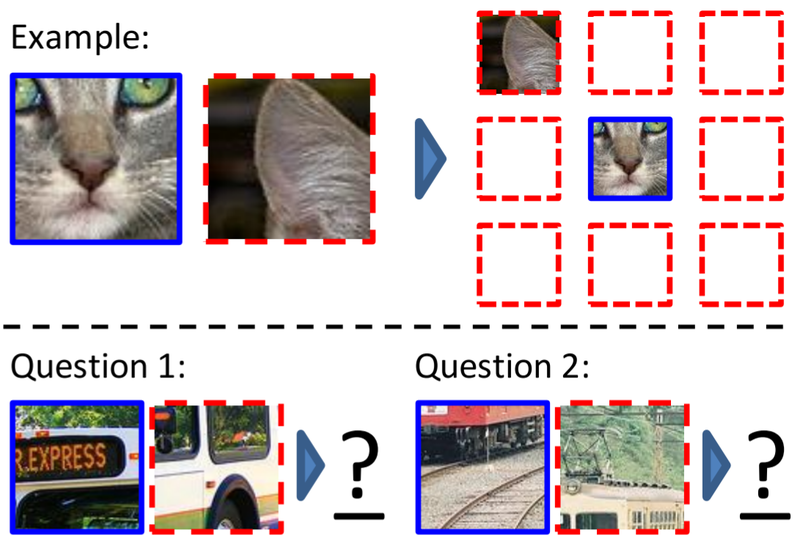 The idea is that a neural network should learn a car classifier from this information. I have seen Discriminative Unsupervised Feature Learning with Convolutional Neural Networks but I didn't understand what they are doing. They take a random patch of one image, apply random data augmentations to that image and assign it a (random) class. How is that supposed to help?